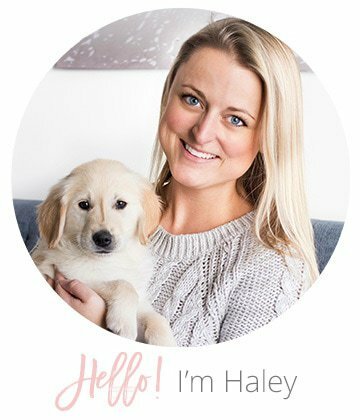 The May smoothie bowl has arrived on If You Give a Blonde a Kitchen! 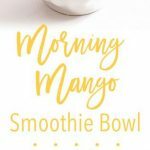 This month’s smoothie bowl flavor is pineapple mango. 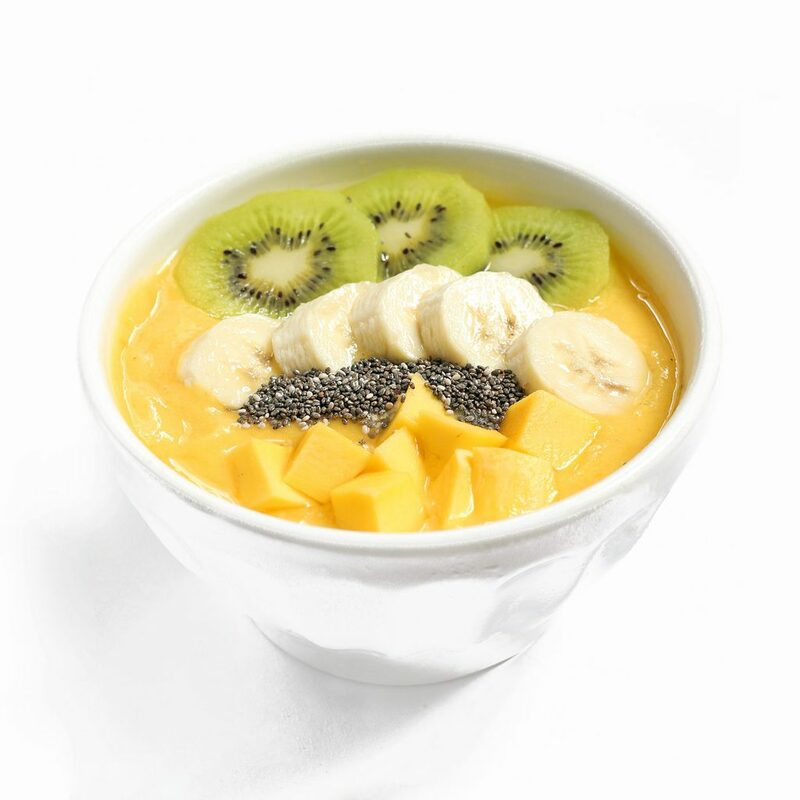 The tropical breakfast puts you in a sunny mood no matter what kind of morning you’re having. I’ve been experiencing mango madness over here. It’s hard to resist a fresh, juicy mango—its ripe color is just so satisfying to look at, never mind to eat. They’re in season and on sale at the grocery store this time of year so grab them while they last! A bit of nutritional info on mangos… 1 cup has 100% of the daily need for vitamin C, 35% for vitamin A and 20% of folate. Mangos are also known for preventing cancer, lowering cholesterol and improving eye health. Now who wouldn’t want that in a morning smoothie bowl? 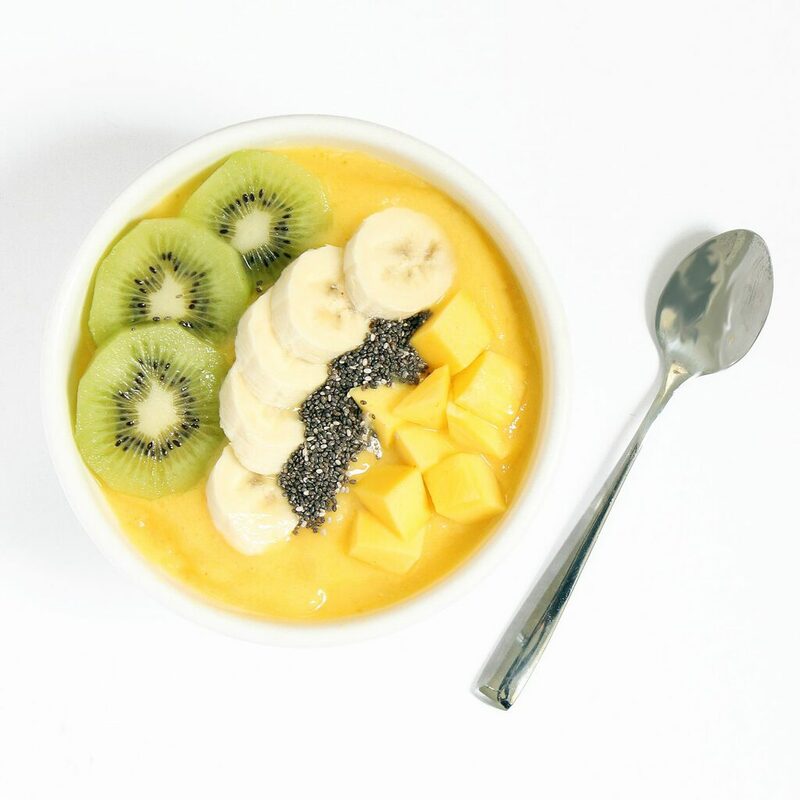 My favorite part of this month’s pineapple mango smoothie bowl is the bright color. It’s like waking up to a bowl of sunshine! To keep the mango’s sunny color, I paired it with fresh pineapple and a bit of banana. 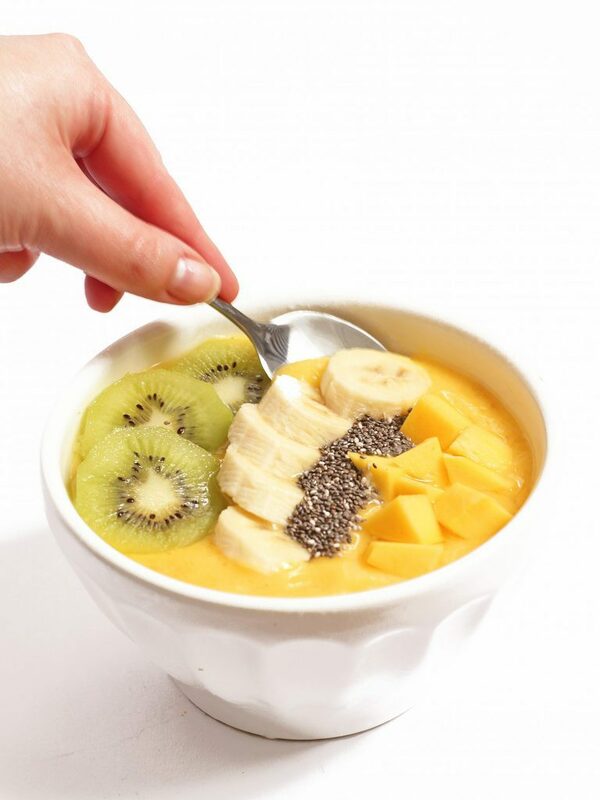 To top it off, I garnished the bowl with additional banana and mango, plus chia seeds and kiwi. This smoothie bowl blend is refreshing and tropical, you will imagine yourself in the islands. Combine smoothie ingredients in a blender, and blend until smooth. Pour into a bowl and garnish with desired toppings. Enjoy! Nutritional info does not account for additional toppings. This looks so beautiful, fresh and light!